For the last few weeks, the social media world has been all a buzz about Google’s latest attempt at social media. If you listen to the technology pundits out there, the verdict seems to be that Google Plus is here to stay. So what does that mean for you and your business? Well here’s the quick skinny of what you need to do and know to be prepared. 1. Be an Early Adopter – Educate Yourself! One of the best things you can do to help yourself and your prospects is be an early adopter of new social networks. Give them a try, understand how they work, and invite others to do the same. By being an early adopter of new social networks, you will be able to see how you can use them to gain a competitive advantage in a potentially new market while your competitors are still trying to figure out how to use them. And remember, the first one to do something in a prospects mind, is often the one that “wins” at the end of the day. In the case of Google Plus, being an early adopter can be difficult because it requires you to be invited. It’s difficult, but not impossible to find these invites from friends and family. You can also sign up to receive one at http://plus.google.com/. This barrier to entry is just one more reason to be an early adopter, as it too will help set you apart from the crowd. 2. Understand the difference between followers, friends, and circles. On Facebook, you have Friends (or maybe you have likes, if you have setup a Facebook Pages). On Twitter, you have followers. Which one at the end of the day is more likely to buy from you? I’m betting you answered Friends/Likes. Why? Because following on Twitter is a rather simple, and passive act done far too often on Twitter. On Facebook, when someone friends or likes you, it gives you the ability to get in front of their eyes via their Feed, and although Twitter has a similar setup, you are more likely to get lost in the noise of all the other people someone follows. People are MUCH more selective about who they friend and like than who they follow. Now bring in Google Plus’ circles. Circles are the perfect hybrid of Friends and Followers. It allows the prospect to categorize you based on how strong they feel the relationship is. It’s important to understand this, as it will affect how you market in the future. The goal will be to avoid being someone’s “acquaintance” or “follower” and instead trying to be someones “friend” or “family”. And remember… they are the ones who control this. Understanding how circles will play out in your marketing long term will be key in how successful your social media marketing is in the future. 3. Start using Plus One (+1) now before it’s too late! 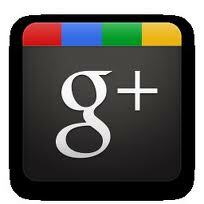 Google’s +1 feature was added before the launch of Google Plus. It was perceived at the time as Google’s attempt to bring more “social” data into their search results. The idea being: that the more +1’s you had, the more likely you were to come to the top of the search results. What people didn’t know at the time, was how heavily +1 was also going to be a part of Google Plus. +1 is Google’s equivalent to the “like” or “share” button that you probably already have on your site. It allows Google Plus users to see content you like. More importantly though, you can bet Google is monitoring this data to start integrating it into the search engine algorithm, so it’s only a matter of time before these +1’s start affecting how you show up on Google’s search results, in addition to how you show up on a Google Plus. If you have a WordPress blog, +1’s are easy to add to your site using a number of plugins that are already out. The Renegade Blog uses ShareThis, which works extremely well. So Start Using Google Plus Now! Just to reiterate: Be sure to pay attention to the social media world, and if at all possible start looking to integrate Google Plus into your social media marketing today. If you found this post useful, be sure to +1 it for us, and if you have any suggestions about how to use Google Plus with your site we would love to hear them in the comments! Thanks for the article. I’m hearing conflicting reports about the Google SEO benefits from the +1. It would be a huge advantage to Google if they did use +1 to rank websites in searches. It would give power to the people who has a google account, so even greater masses will sign up. But on the other hand, I think the reason the +1 button grew so quickly was due to wishful thinking of website owners who want to be more visible on Google. Google has never said they’d use it for SEO, but everyone (including myself) added it to their websites in hopes that it will. I agree entirely. It’s hard to say what the future holds, but most of the experts out there believe it’s only a matter of time before it plays some role in Google’s massive algorithm. Some of them even argue that other social media sources already do (such as facebook likes). The only flaw with using it “too” much in the algorithm would be the ability to “game” the results with “fake” +1’s. This was the problem back in the day when keyword stuffing still worked :-). Eventually I’m sure Google will figure out a safe and balance way to include it in it’s results, even if it’s a “secondary” factor. In any case, social proof is still a powerful weapon, and being an early adopter to the Google Plus (or any new network that has potential) will almost always play to your benefit. I enjoyed your article. In a way, I expect that if Google puts something out there it is going to automatically gain a huge following… just like those of us commenting on it right now. Even so, Google is facing a great competitor in Facebook. I look forward to seeing how Google Plus’ Circles works… having not yet received my “invite”. It will be interesting how this will play out. This isn’t the first attempt at Google to enter the social realm. Google Wave and Google Buzz have both been deemed failures for their intended purposes… Plus however has been much better received than either of these previous two attempts.